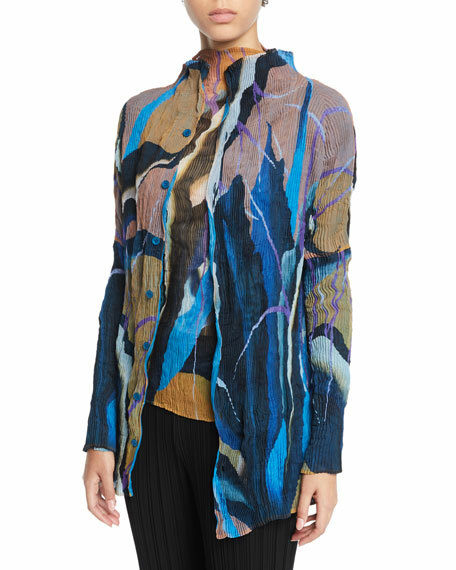 SACAI cardigan with knit front. Satin tuxedo collar; button front. Sacai was established by Chitose Abe in 1999 after eight years of working with the Junya Watanabe collection at Comme des Garcons. Abe's interest is in creating clothes that are entirely unique and timeless, innovative and experimental. 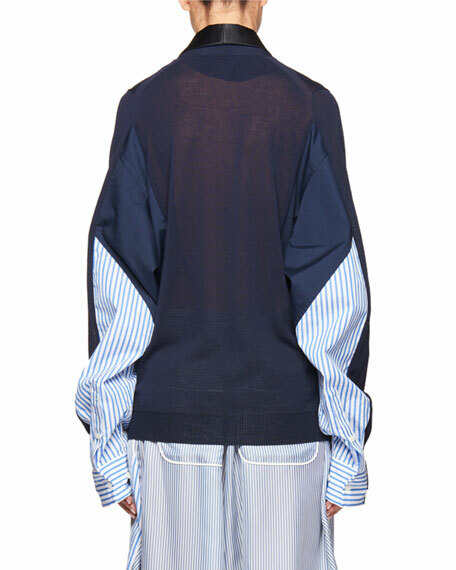 To Abe, who is influenced by observing her surroundings and functions of daily life, the Sacai collection has a distinctive elegance that is based on renderings and transformations of basic and classical items. The result is a collection of items that can transition easily between various occasions and not only reserved for special opportunities. For in-store inquiries, use sku #2461688. 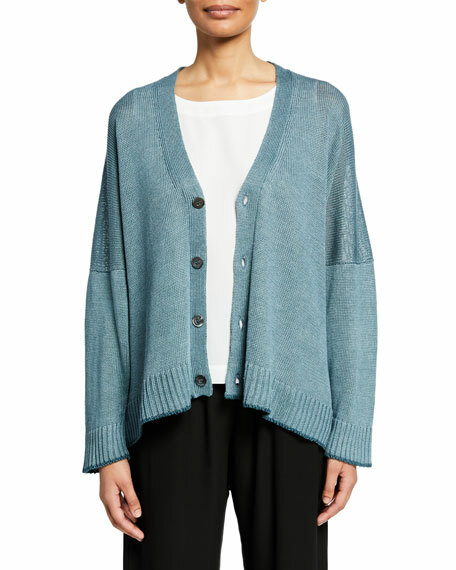 Akris cardigan in in silk-cotton knit. Tulle collage jacquard back double layer. V neckline; button front. Long sleeves. Front patch pockets. Semi-fitted. Hem hits hips. Silk/cotton/nylon. Imported. Coach "Essentials" cardigan featuring T-rex patch at left chest. V-neckline; button front. Long sleeves; ribbed cuffs. Patch pockets at lower front. Oversized silhouette. Below-hip length. Glittery hem. Wool/polyester/metallic/nylon/spandex. Imported. 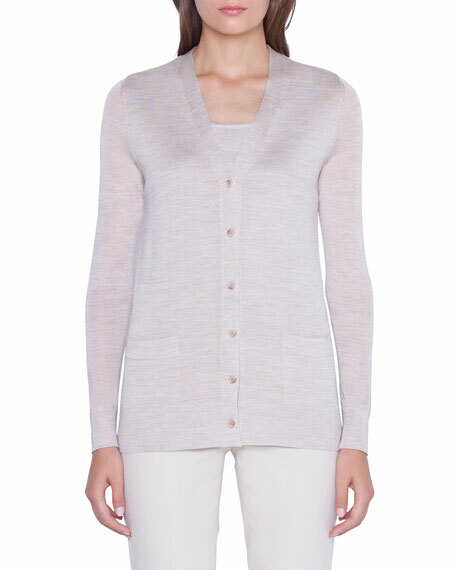 Eskandar cardigan in linen knit. Ribbed hem and cuffs; contrast tipping. V neckline; button front. Dropped shoulders. Long sleeves. Oversized fit. Linen. Made in United Kingdom.